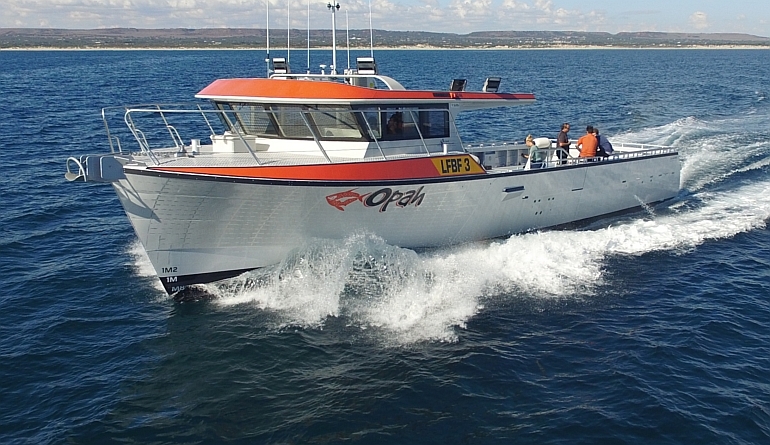 The latest cooperation between Global Marine Design, Fine Entry Marine Aluminium Boat Builders and Oceaneer Marine Brokers has produced the stunning new cray fishing vessel “Opah” for John Servaas and Sons. 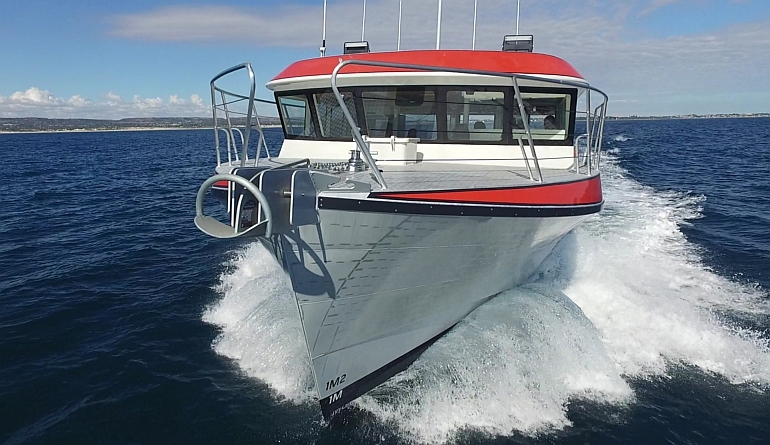 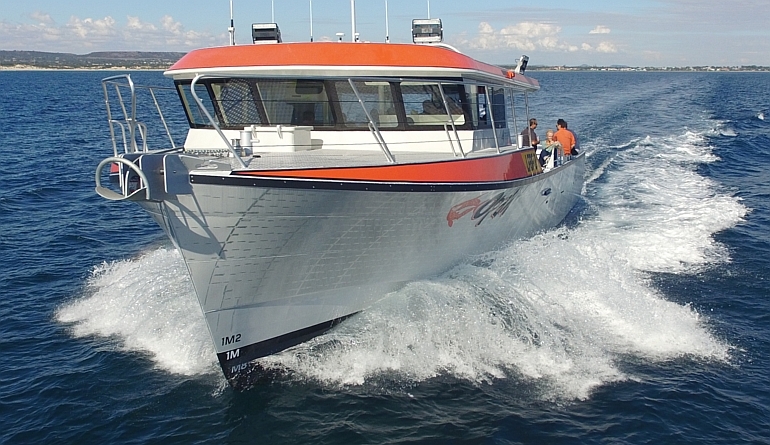 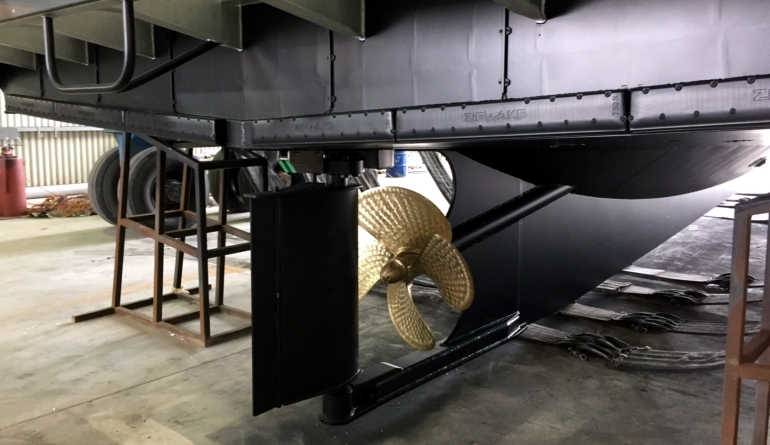 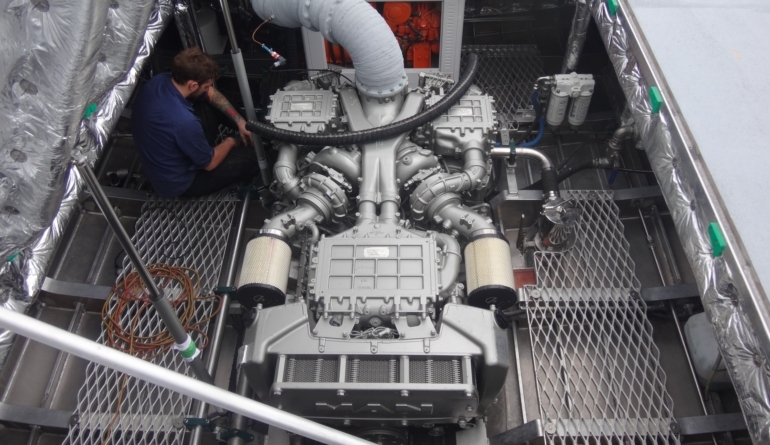 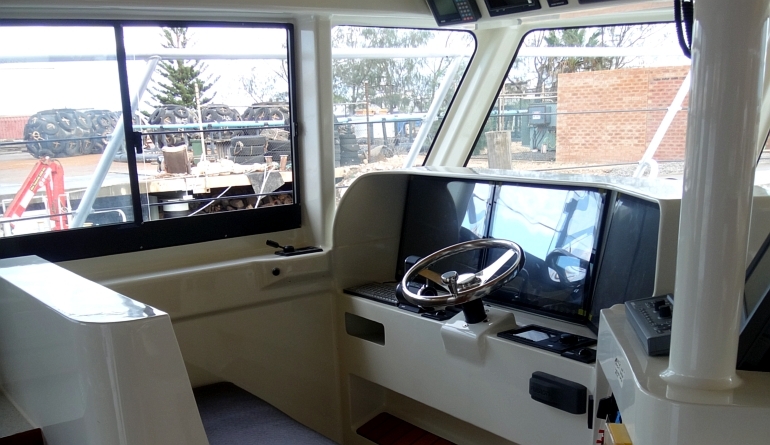 John was heavily involved in the early design process and the result is a highly functional commercial fishing vessel, which has been constructed to a very high standard by Tim and the team at Fine Entry. 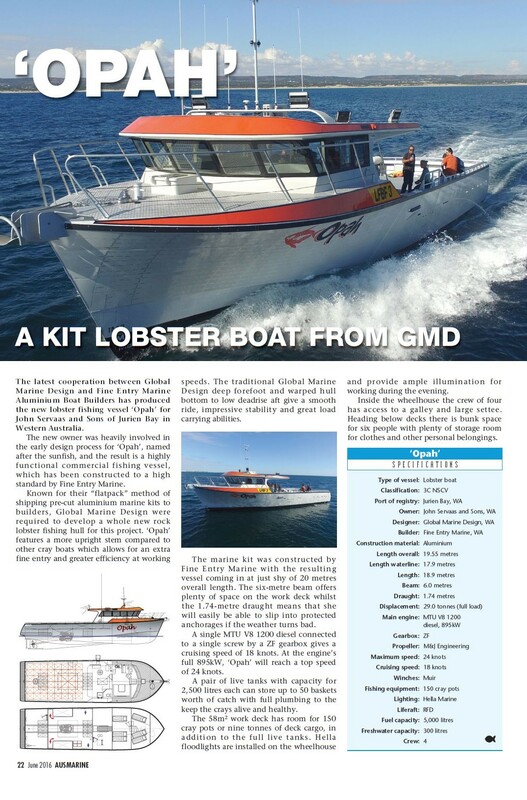 The build required Global Marine Design to develop a whole new rock lobster fishing hull and aluminium Marine Kit. 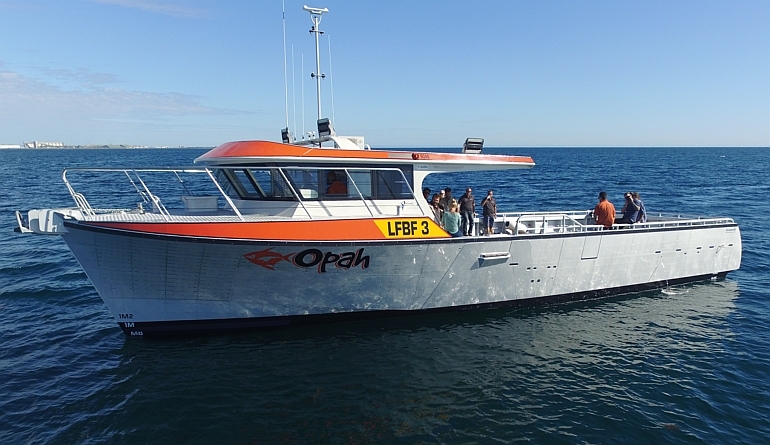 “Opah” features a more upright stem which allows for an extra fine entry and greater efficiency at low speeds. 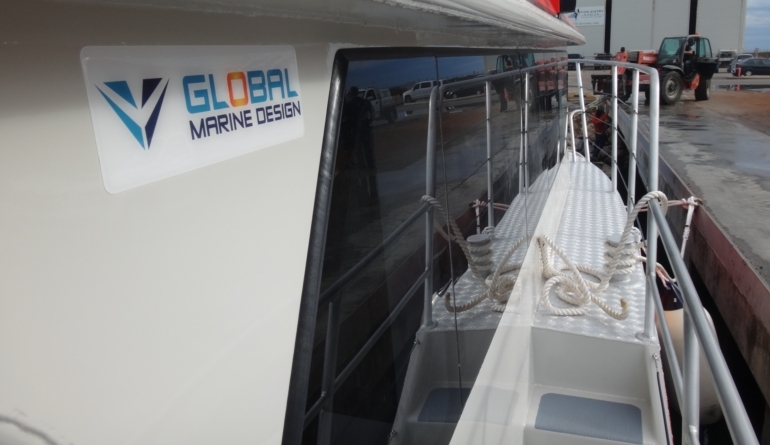 The traditional GMD deep forefoot and warped hull bottom to low deadrise aft give a silky smooth ride and great load carrying abilities. 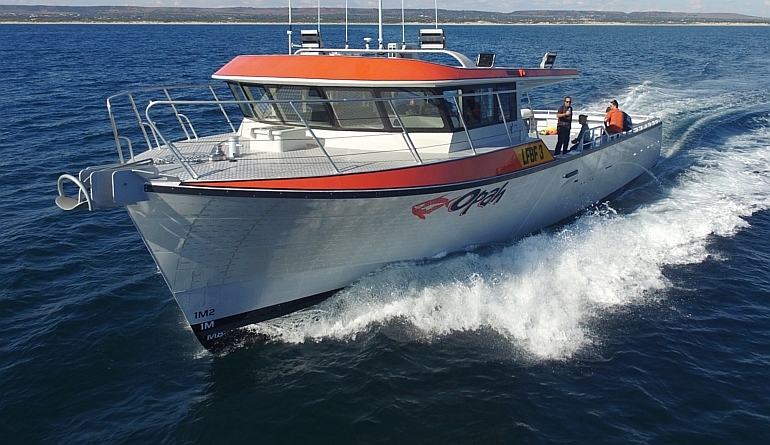 The total of 5,000l between the two live cray tanks gives capacity for 50 baskets of valuable catch, plumbed with experience by Fine Entry Marine to ensure minimal dead-loss. 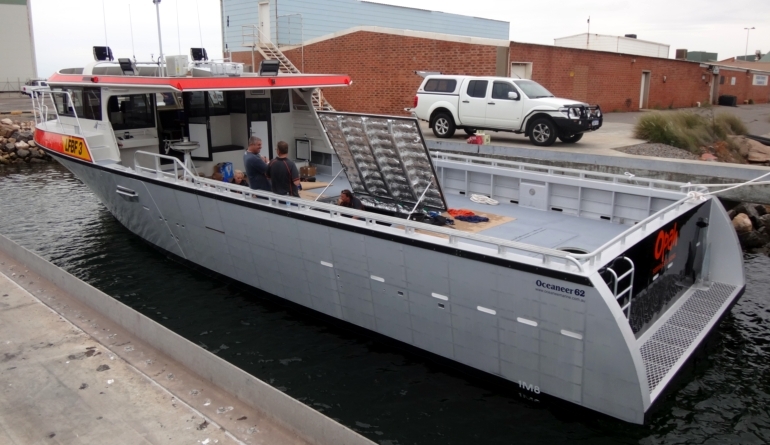 The 58m² workdeck holds 150 cray pots or 9.0 tonnes of deck cargo, in addition to the full live tanks. 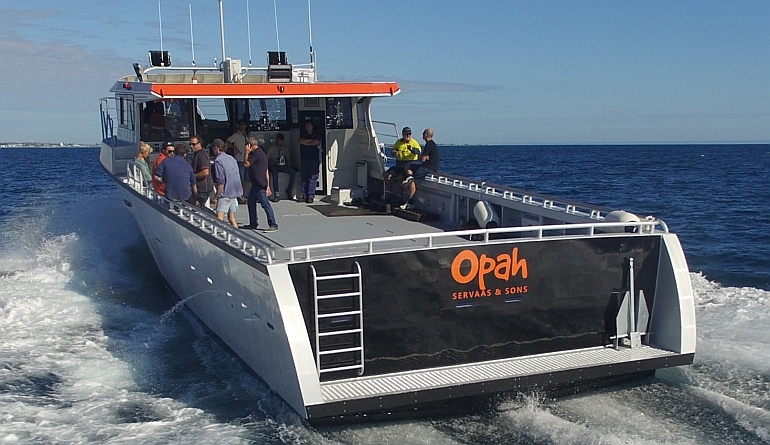 Since beginning work, ‘Opah’ has proven to be a true performer carrying 140 pots and associated gear with full fuel at 17 knots @ 1900 RPM and only 60% engine load! 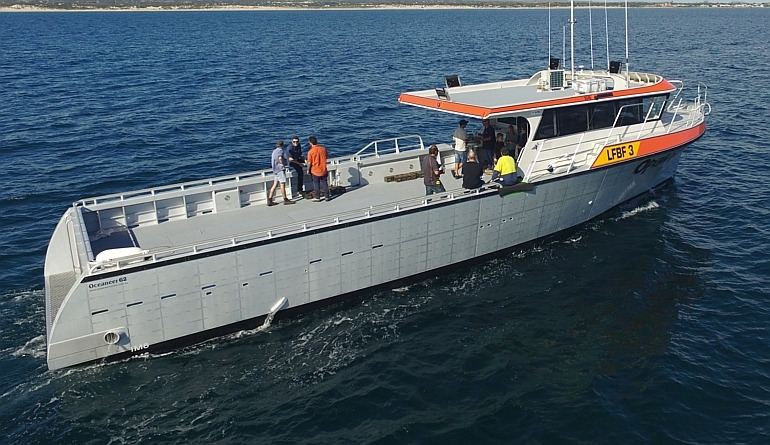 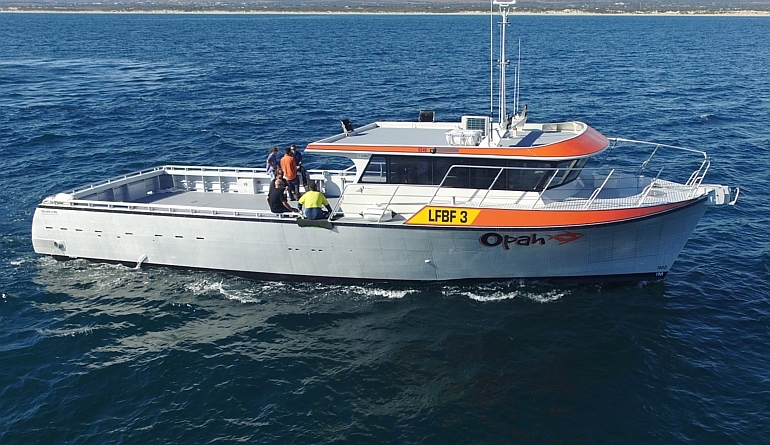 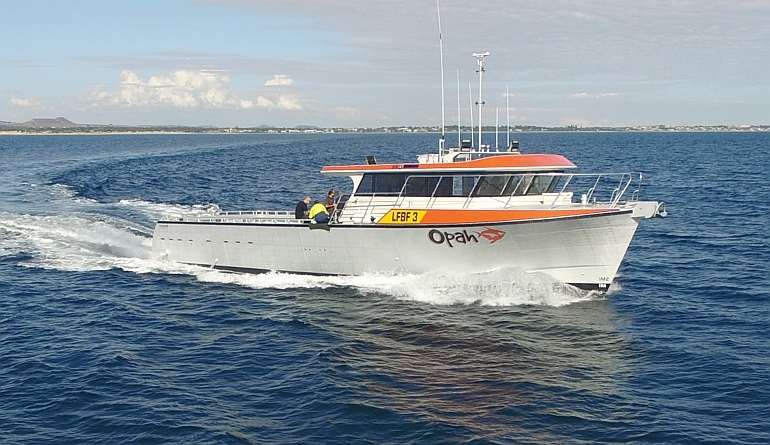 “Opah”, named after the sunfish, is set to give the Servaas family many tireless years of fishing out of Jurien Bay and the unforgiving West Australian coastline. 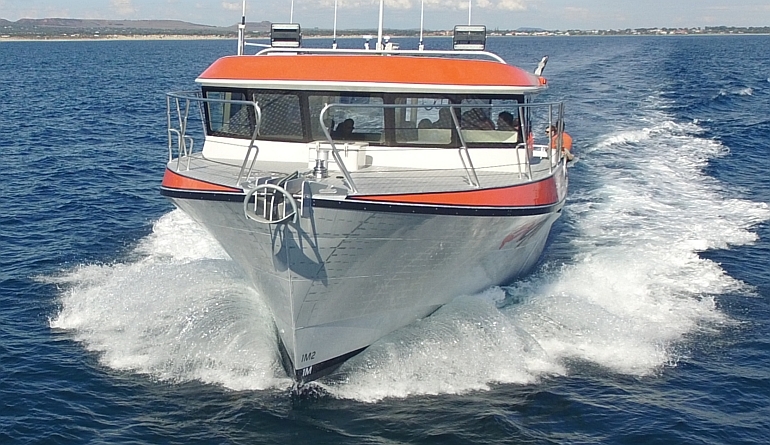 This vessel would be equally comfortable in a range of fishing, hydrographic survey, patrol, charter, work or eco tourism roles.